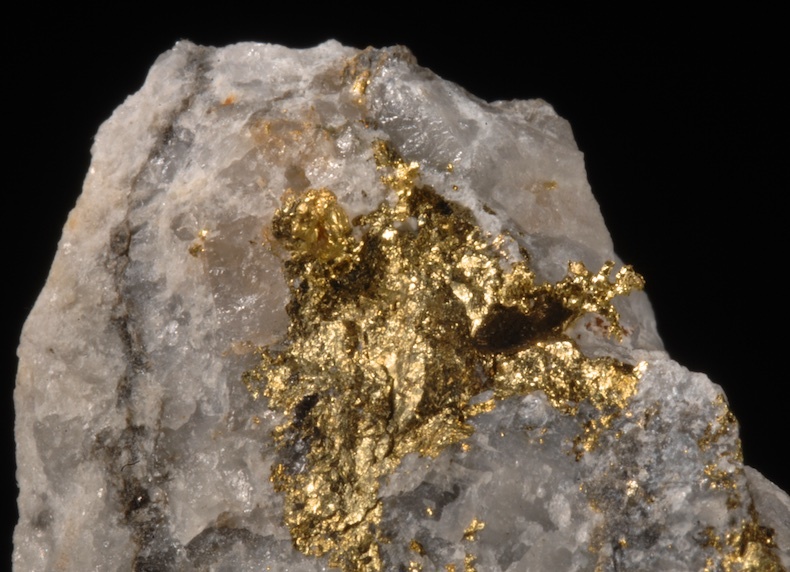 A pure sheet of Gold with some flattened crystal faces and structures evident. Thin but substantial, this has a bright luster and looks great on both sides. Mined in 2006, this weighs just 1.3 grams but due to the flat form it looks very impressive for the weight. 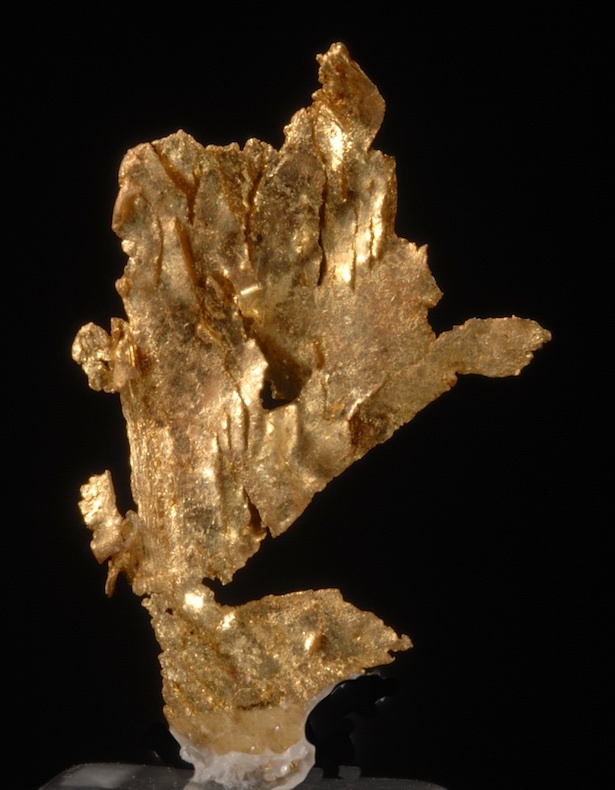 The variety of fine Gold specimens that has come out of Round mountain is incredible. Choice. Gold in crystals, sheets and massive zones densely filling a veined Quartz matrix. From the Henderson mine in Chibougamou, this is an especially rich specimen from the locale that is famed for the worlds best Cubanites. Very few specimens of Gold have been preserved from this locality, Ex Glenn Petrie, and Les Hitchings collections. The Gold is visible on every surface of the matrix, and under magnification the richness and complex delicate structures are very elegant. Total weight of 34 grams I would guess the bulk of that weight is Gold. Very well formed, lustrous and complete on all sides, a fine cluster of bright metallic crystals. 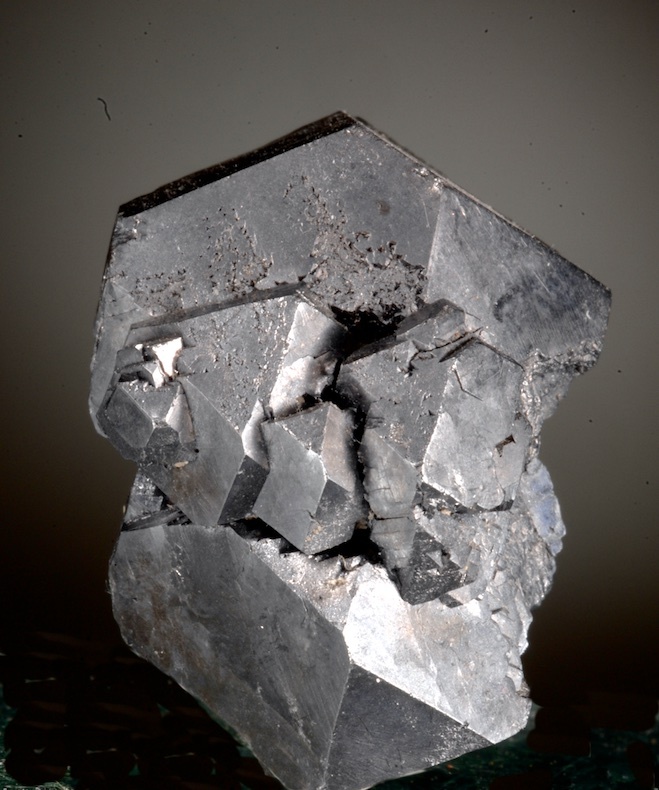 From the famed Tristate district, relatively few specimens were attributed to individual mines but this piece is noted as from the Mid-Continent mine. In excellent undamaged condition with a "gunmetal" patina a fine specimen from a classic and long closed area. 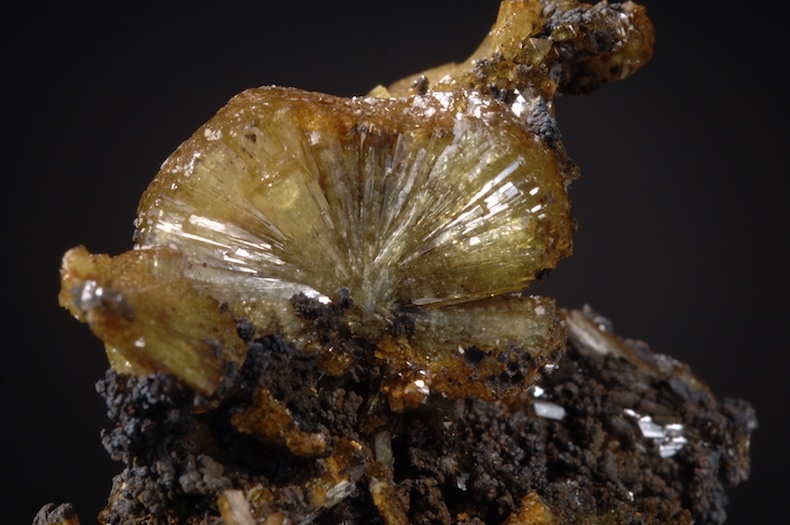 Jeffrey Mine thumbnail with a main 2.5 CM crystal standing above broken but recrystallized smaller Vesuvianites. 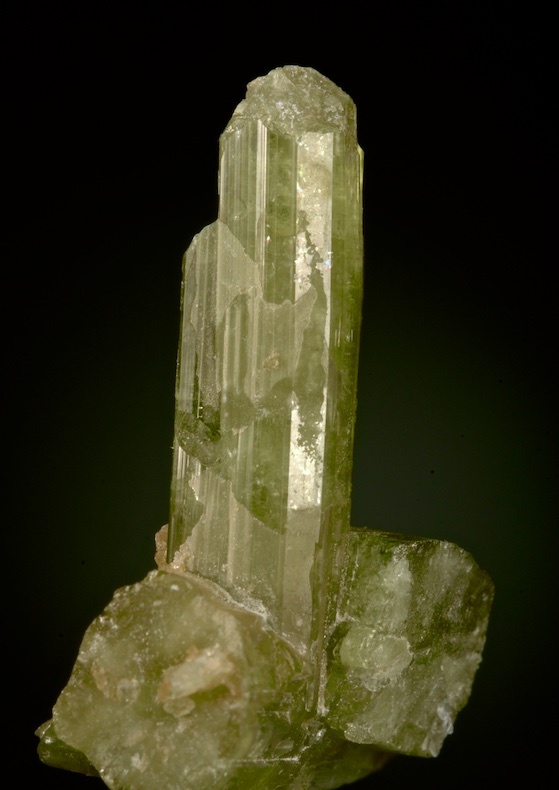 The main crystal is in good condition as seen, the color is good and displays well. Attractive from all angles, a nice example of the habit from this prolific but closed locality. Vintage specimen with old EB Underhill label. 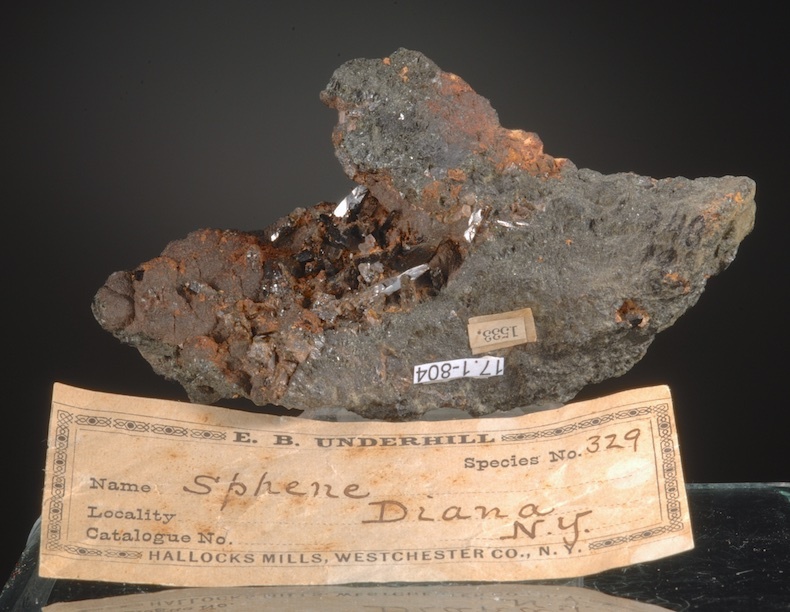 Underhill donated his collection posthumously to Amherst College in 1888, so this piece and his handwritten label is older than that. Not many of these labels survive today and the Sphene specimen is also a very rare example from a classic locale. 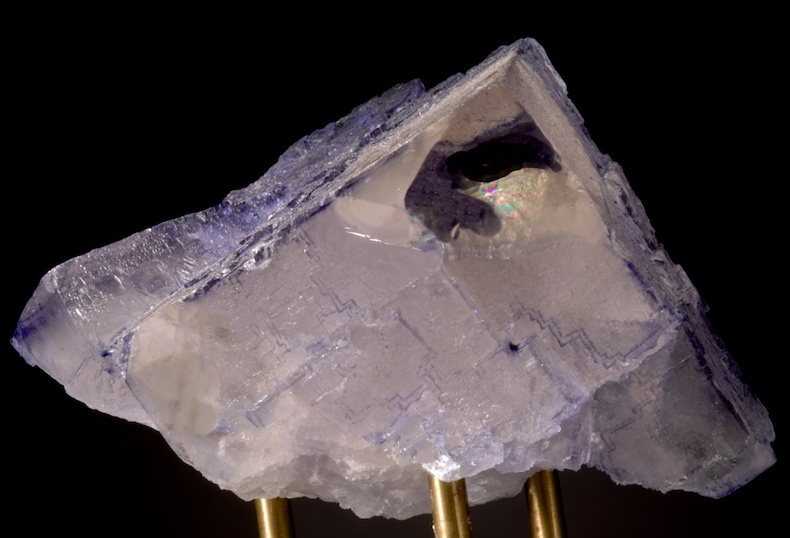 I have never seen another quite like this, the luster is very bright on the slender dark gem clear crystals in the protected vug. Microscope reveals tiny Clinochlore and what may be colorless Fluorites, not known from this locale. 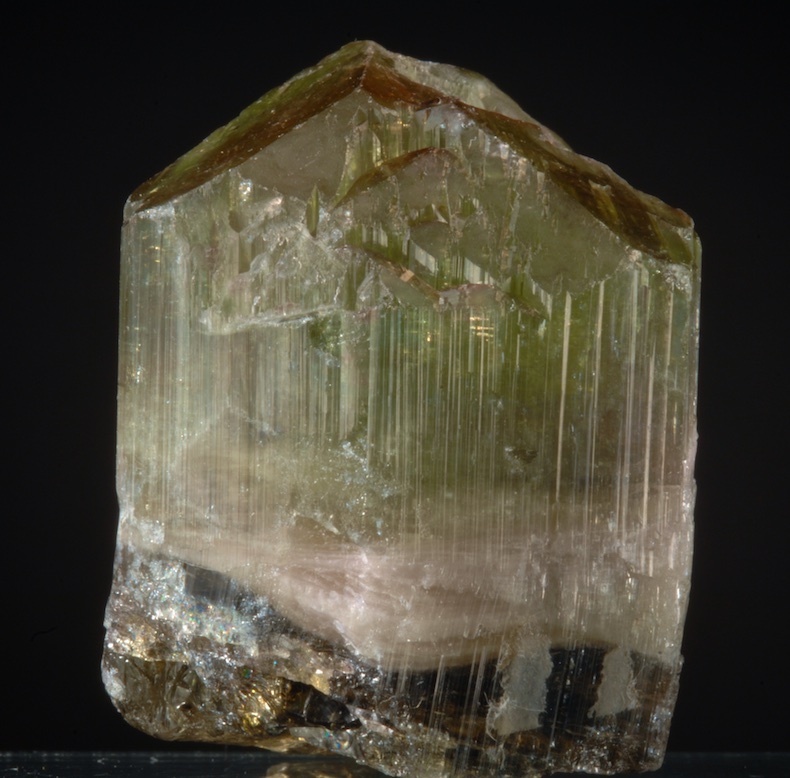 A nice slice of mineral history.